The series recently won an NAACP Image Award for Best Drama Series, Television Show of the Year. 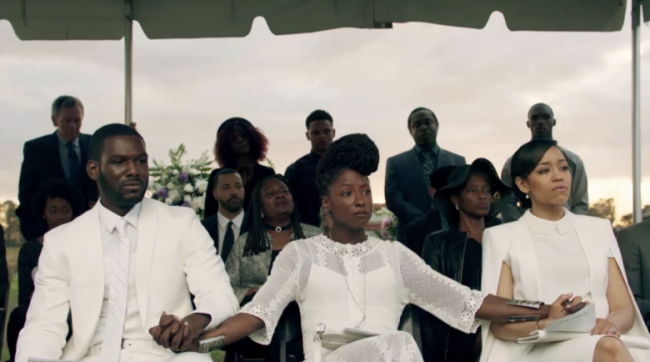 OWN: Oprah Winfrey Network announced it has renewed “Queen Sugar,” for a third season. The drama series, which chronicles the lives and loves of the Bordelon siblings in Louisiana, debuted its second season last month with its highest-rated episode ever in key adult and female demos. “I’m so proud of Ava and her ability as a filmmaker to challenge the status quo and push for inclusiveness on screen and behind the camera. I love, love, love the work we have been able to create so far. I am looking forward to developing many more meaningful projects together,” said Oprah Winfrey, CEO, OWN and Harpo Films. In addition to announcing “Queen Sugar‘s” third season order, OWN has announced that Michael Michele, Roger Guenveur Smith and Beverly Todd will join the series in recurring roles later in season two. Michele (“ER,” “Kevin Hill”) and Smith (“A Huey P. Newton Story,” “Do the Right Thing”) will play Darla’s (Bianca Lawson) estranged parents, and Todd (“I Will Follow”) plays Mother Olivia Brown, a much beloved and respected matriarchal activist residing in the 9th Ward. “Queen Sugar” creator Ava DuVernay continues to assemble an all-female directing team and making their television episodic directing debuts with the series are Garrett Bradley (Sundance award-winning director, “Alone”), Liesl Tommy (Tony-nominated director, “Eclipsed”) and Christina Voros (acclaimed cinematographer and director “The Ladies,” “Child of God”) who will join previously announced Julie Dash (Sundance award-winning “Daughters of the Dust”) to direct upcoming episodes of the second half of season two, airing this fall. The series, which stars Dawn-Lyen Gardner (“Unforgettable”), Rutina Wesley (“True Blood”) and Kofi Siriboe (“Girls Trip”), recently won an NAACP Image Award for Best Drama Series, Television Show of the Year from both ABFF and AAFCA, and was a People’s Choice Awards nominee for Favorite Cable Drama.